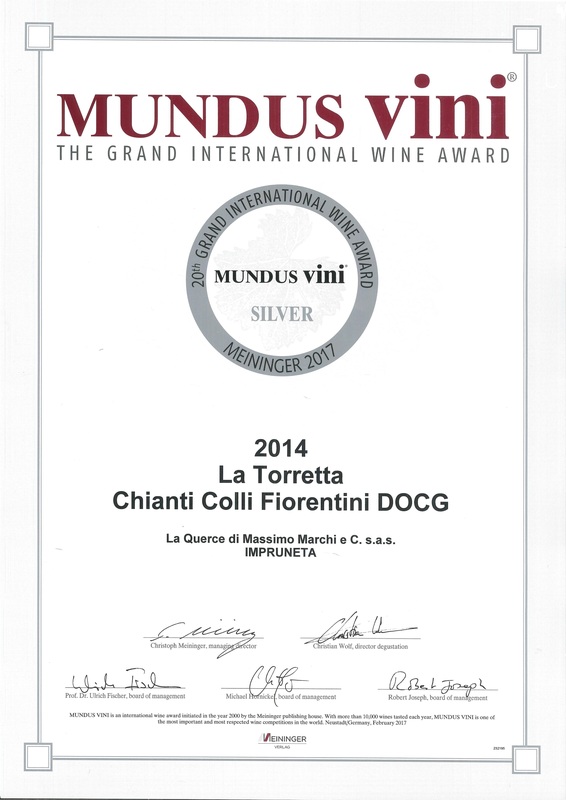 Again this year, the wines presented were awarded prizes at the Decanter World Wine Awards. 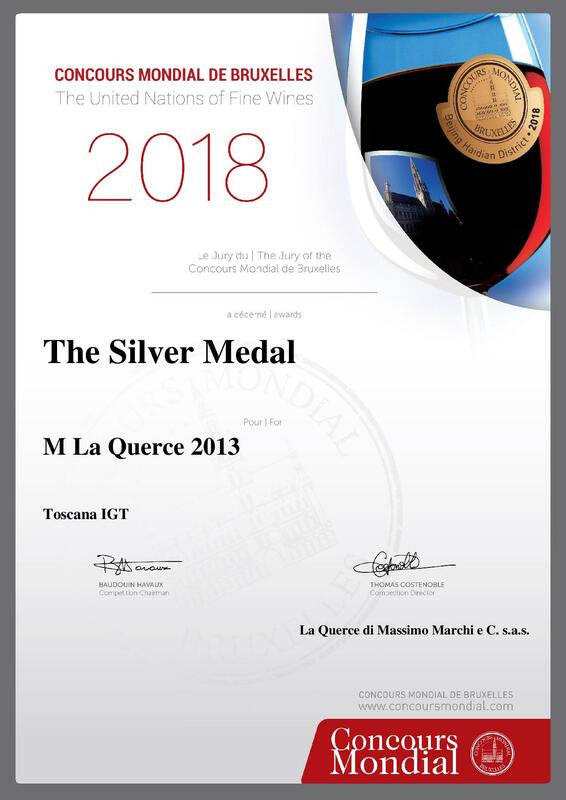 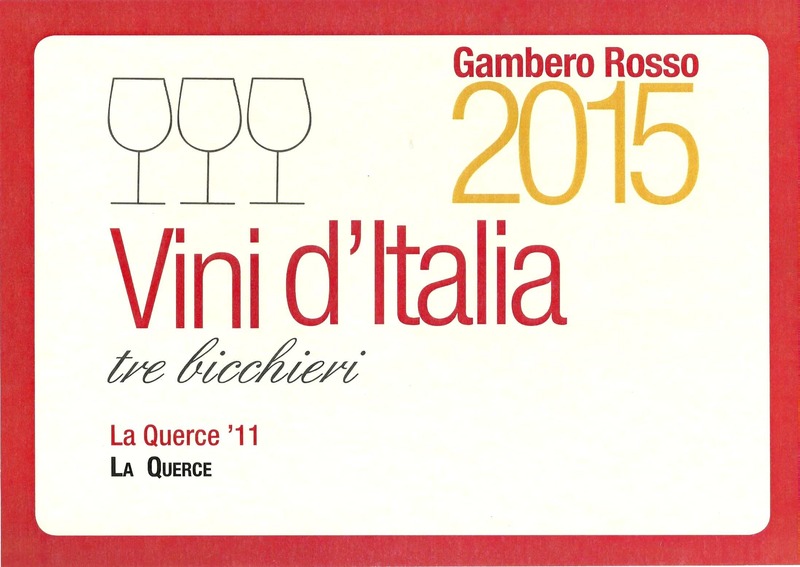 La Querce 2013 with Silver medal the merlot M 2013 with the Bronze medal and the Chianti Colli Fiorentini La Torretta 2014 with Commended. 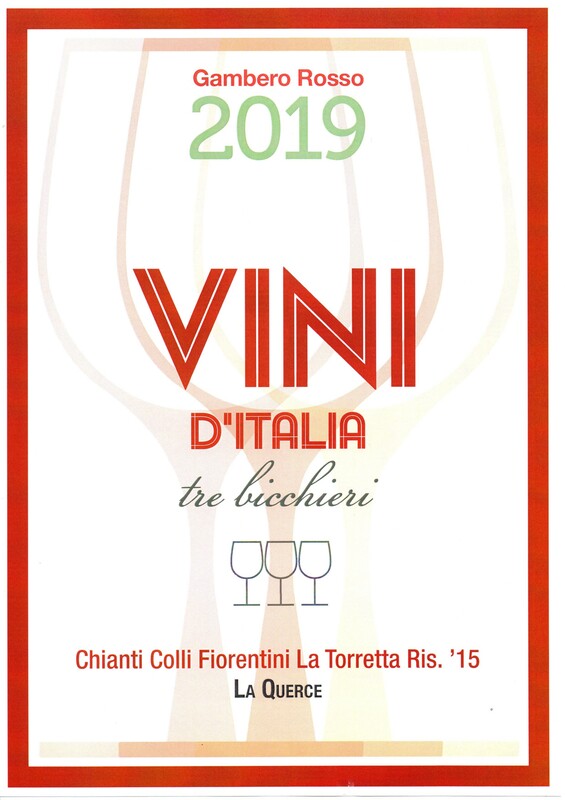 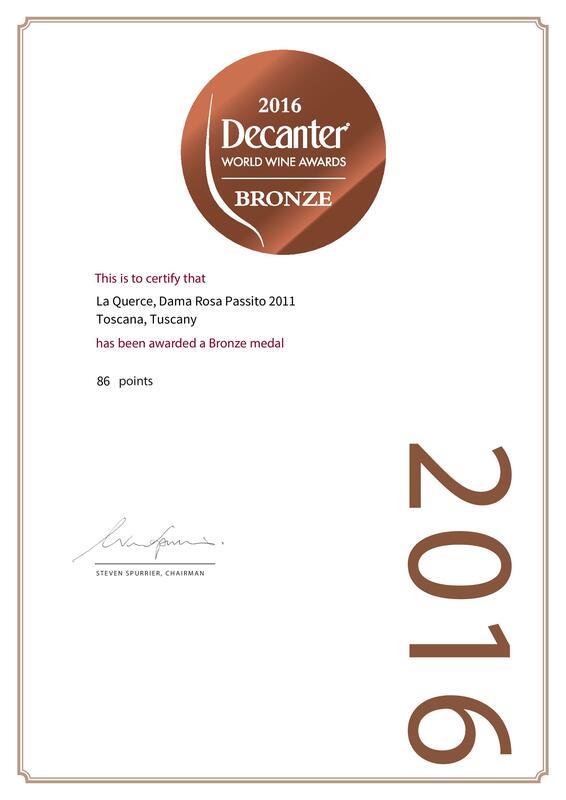 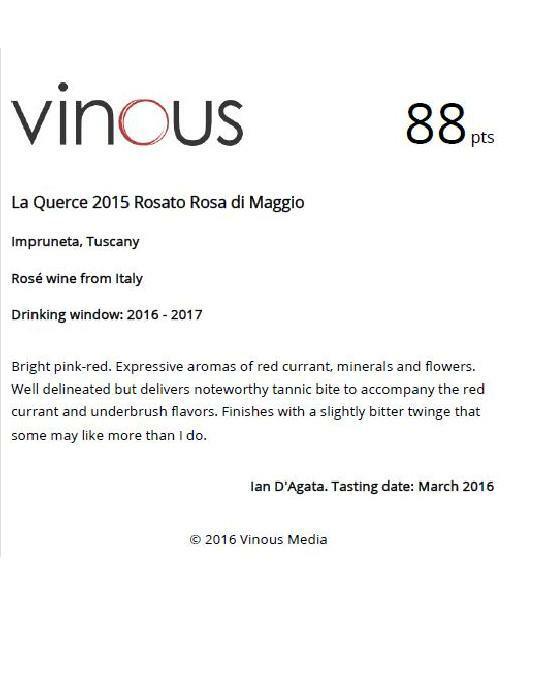 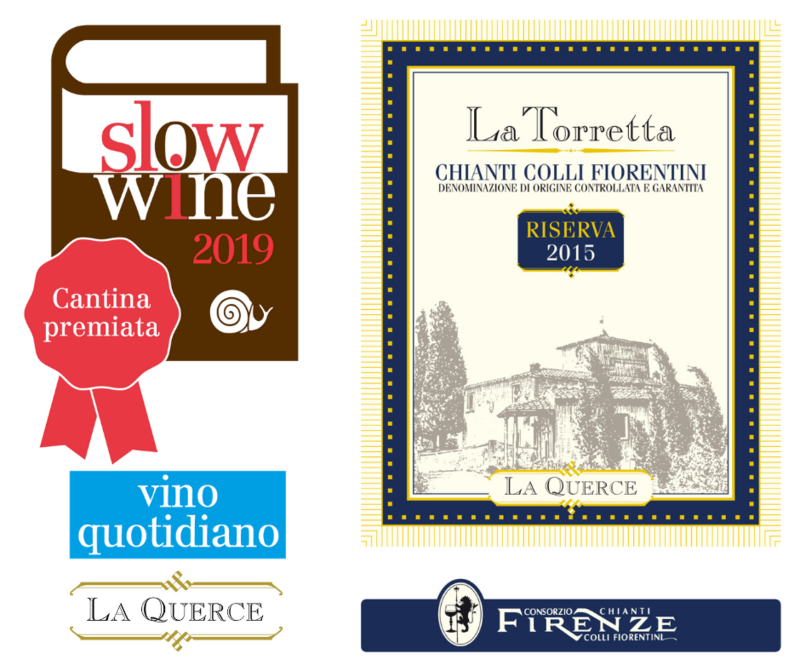 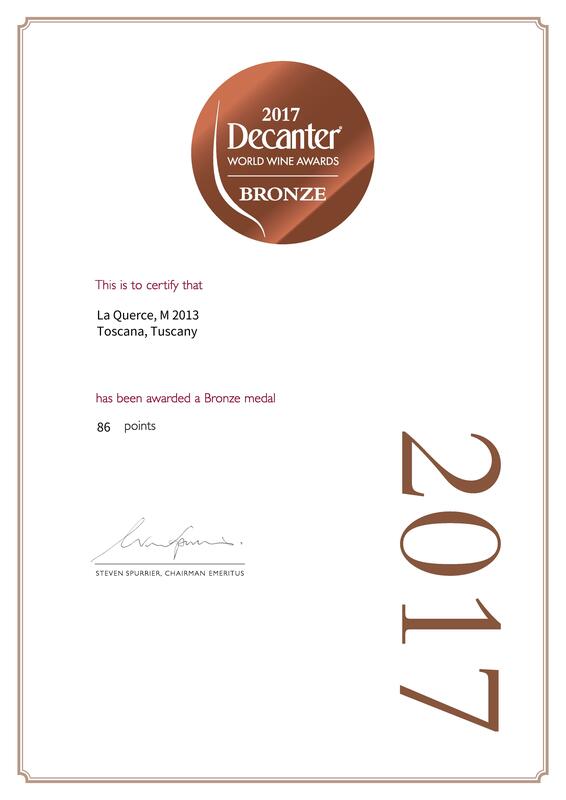 This year three our wines have won a Bronze Medal at DWWA: the red wines 2012 La Querce, the chianti colli fiorentini 2013 La Torretta and the passito 2011 Dama Rosa. La Torretta 2006 score 87/100 and Wine Toscano La Querce 2005 score 93/100. 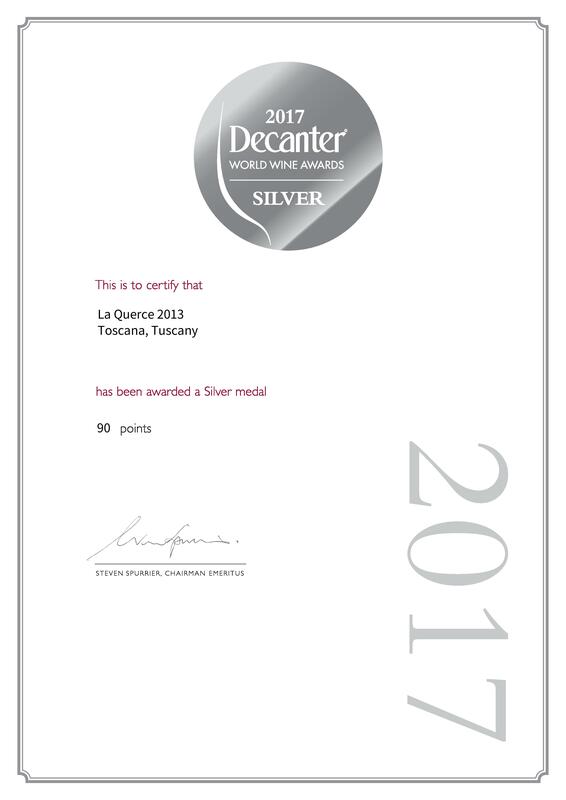 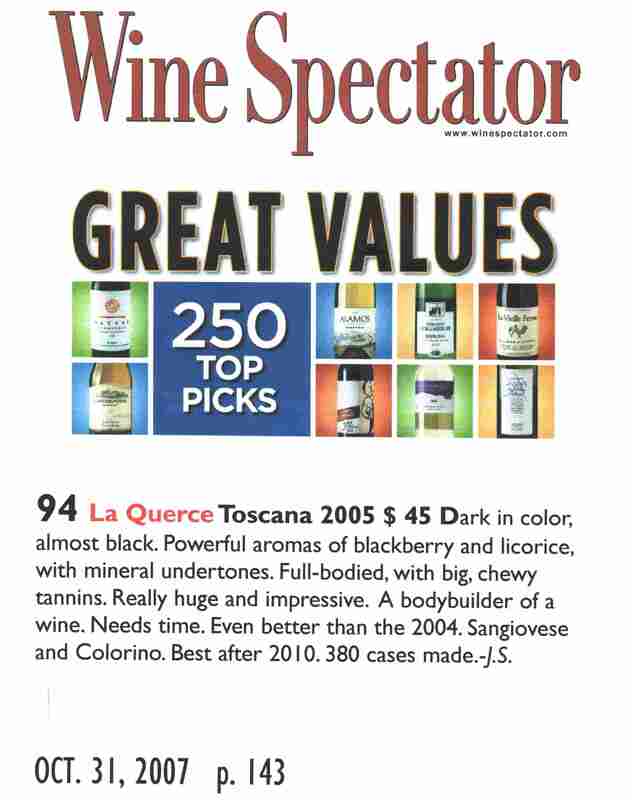 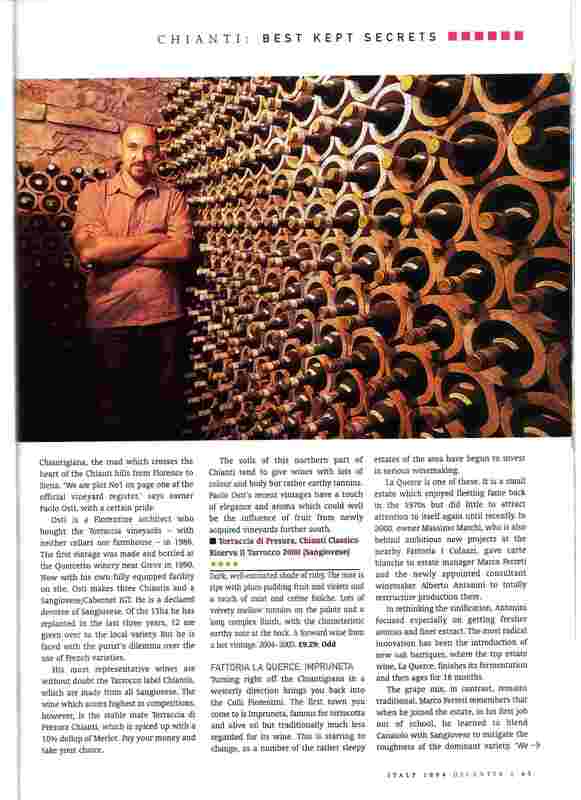 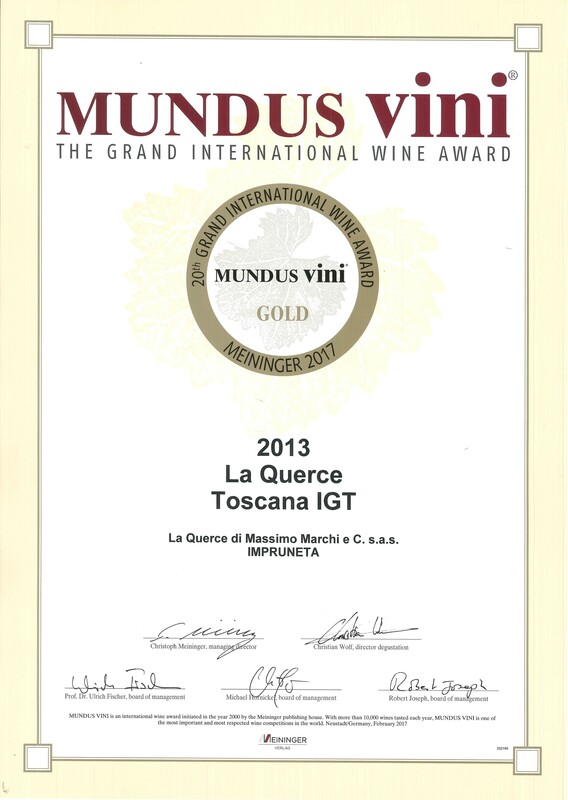 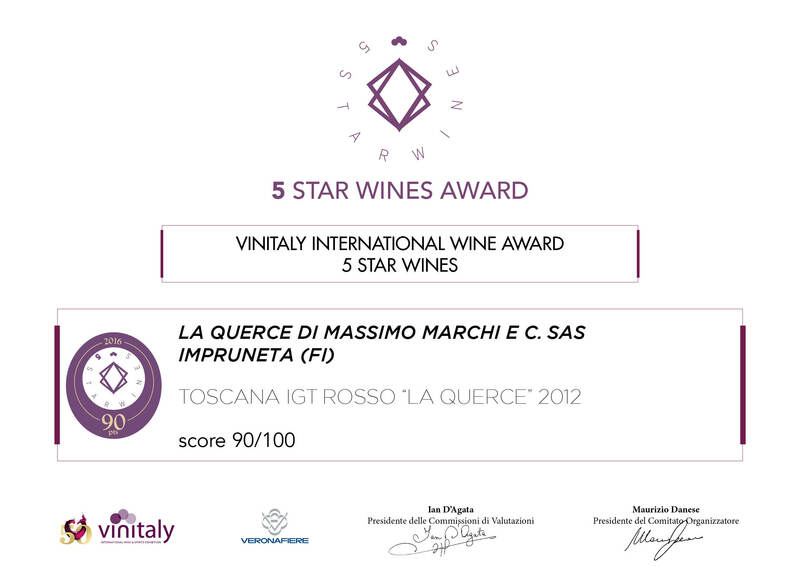 Wine Spectator (October, 31 2007) Wine Toscano La Querce 2005 score 94/100. 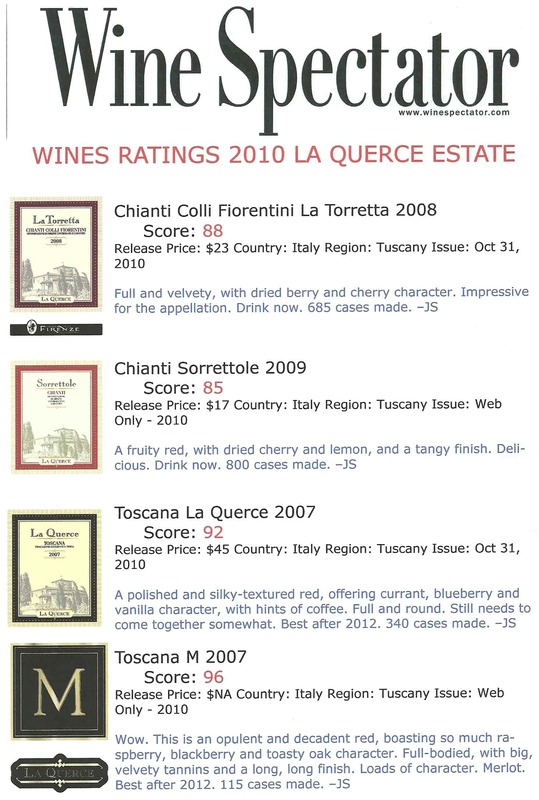 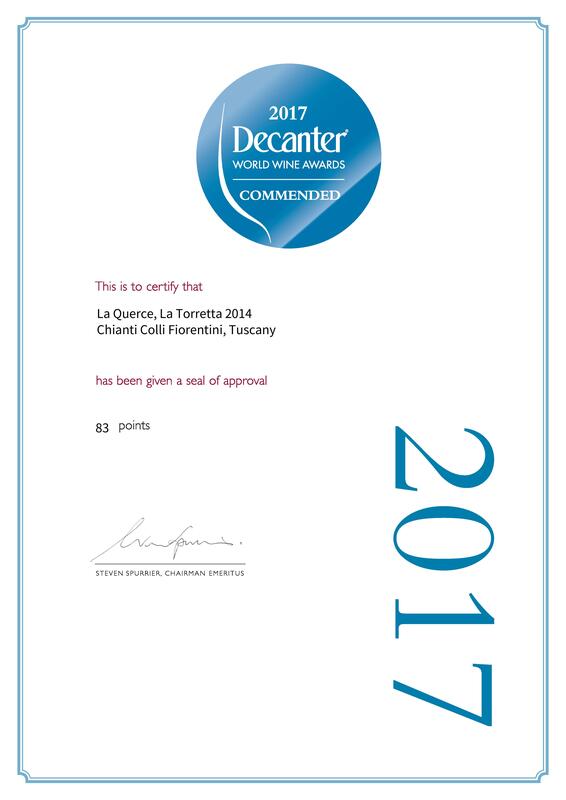 La Torretta 2004 score 84/100 and Wine Toscano La Querce 2004 score 93/100.